The administration of public safety policy has a tremendous impact on quality of life. It requires ethical selection and professional development of personnel, strong leadership skills and core competencies critical for serving 21st century communities. Mastering these competencies requires an honest evaluation of the recruitment, mentoring and training procedures that produce organizational synergy capable of delivering a unified policing mission and purpose. Among those objectives are issues related to generational variations, cultural values, diversity, collaboration, transparency and intellectual professionalism to equitably exercise legal and departmental policies. When selecting and managing an assortment of internal stakeholder values, a premium should be placed on reflecting the external, community-oriented values that comprise and complete the stakeholder set. In the field of criminal justice, social inequalities are greatly impacted by public safety policy and issues related to fairness, equal justice and social equity for the individuals and communities served by the justice system. Absent a representative spectrum of interest and values within organizations can lead to civil angst, harmful divisions between communities and governance entities and a general reduction in the overall health of local life. Public trust and a sense of equality before the law is a critically binding asset of the social fabric in democratic cultures. Public safety administrators impact the way these social inequalities are managed and resolved, starting with their own organizational vision and perspective which influences employee selection and development. The stewardship of public safety in the 21st century requires leadership that understands how to include and manage persons of diverse backgrounds and value sets in a collaborative effort that builds mutual trust. This includes a transcendent understanding of group dynamics, individual needs and conflicting perceptions. Philosophically, the collaborative paradigm requires cultural exploration and varying perspectives. Law enforcement management, in particular, requires a keen proficiency for seeking out, integrating and reconciling the various needs of subordinates and stakeholders alike. It is an ethical obligation for creating an environment that fosters healthy debate and interaction between competing or conflicting value sets to determine the one inclusive path forward upon which all can prosper. To effectively meet and resolve these challenges, a good leader must endeavor to match need and skill sets where they are best leveraged to align community and individuals needs with organizational goals. This means working with people and through them –never exploiting them. Outreach and inclusion are two basic methods of reducing bias, disparity and inequality in the justice system. Likewise, they are also a means of effectively and productively managing and reconciling internal issues such as generational divides over traditional enforcement models or the application of technological advances (like body cameras) while simultaneously maintaining respect for privacy concerns. Failure to properly predict and address such problems may lead to internal and/or external resentment, fear, confusion or anger between the community and the justice professionals who serve them. We must continue to maximize any opportunity to engage employees in genuine and sincere diversity and conflict resolution training. More importantly, we should make sure that we never shy away from real-world opportunities to engage in diversity or conflict resolution, growing these particular skill sets through continual exposure to the unique concerns and needs of every individual and employee. Asking people what they need and how they are doing, as a fundamental duty of management, will help keep any leader well-informed. Making oneself accessible to subordinates and stakeholders fosters openness and communicates a collaborative sense of concern, security and inclusion that will help to maximize the values of diversity and human capital in public safety endeavors. The collaborative philosophy of community-oriented policing avoids the public policy pitfalls and public relations missteps that can disenfranchise the most vulnerable elements of society. Therefore, public safety agencies must be led by police executives and managers that support an inclusive approach to leadership, problem-solving and employee/stakeholder empowerment. Leadership is a process, not a position. It is a process of knowledge and people. Perhaps more specifically, it is knowledge of people that can only be mastered by a constant pursuit of collaborative options and the development of technical skills. It is also requires tremendous focus and a commitment to otherness where public service is involved. The problems of crime and justice are multi-faceted and involve the perceptions, wants and needs of a variety of stakeholders and myriad interests. Resolving dilemmas in such an environment is a challenging goal, and it must be measured with a practical understanding of the root causes for potential successes and failures. Including the voices of assorted interests and fostering a climate that encourages and supports those voices, is an essential element of management and leadership in increasingly diverse workforces. Indeed, peace and social justice can only be achieved when all of the concerned individuals are sought and included in public policy formulation. Author: Donal Hardin is a retired policing and corrections professional currently conducting research for his doctorate in Public Policy and Administration. 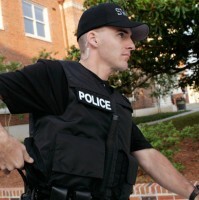 Specializing in public safety ethics, Donal teaches criminal justice courses at various institutions of higher learning. Donal can be reached at [email protected].